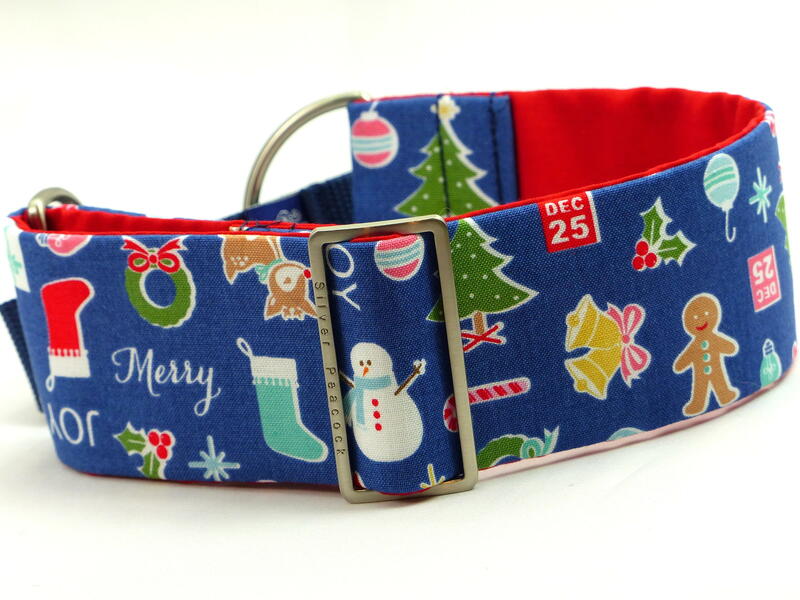 A fun and festive collar! 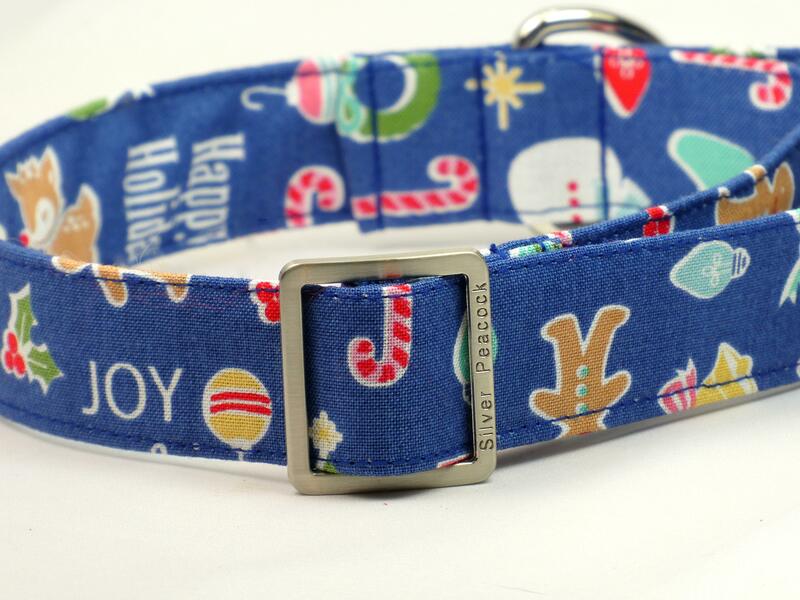 A lovely denim blue background is covered in festive motifs from reindeer , snowmen and christmas trees to jingle bells, wreaths and holly. 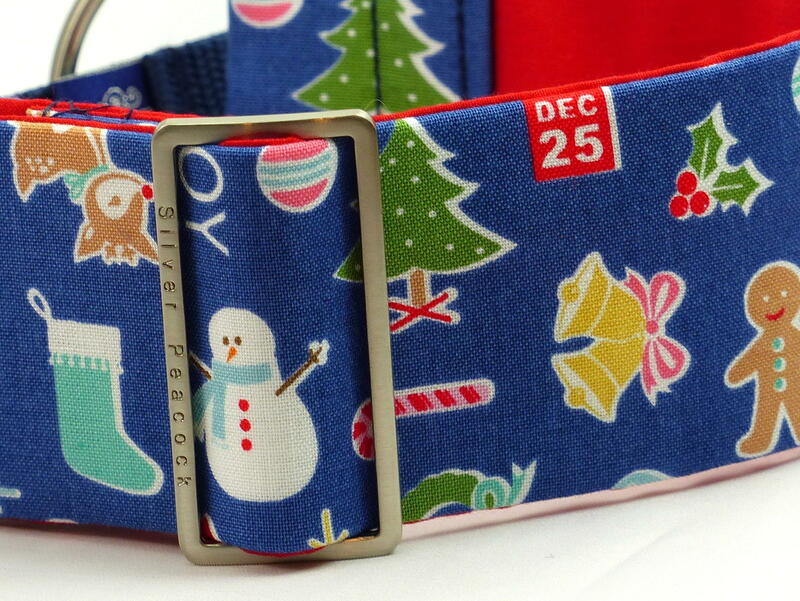 The collars are lined in complementary red fabric and finished with our signature robust hardwear. 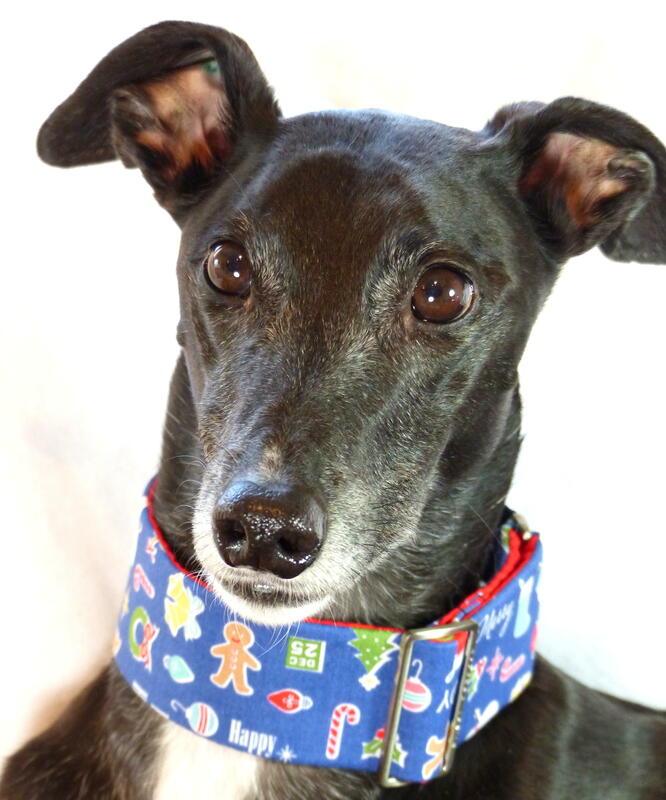 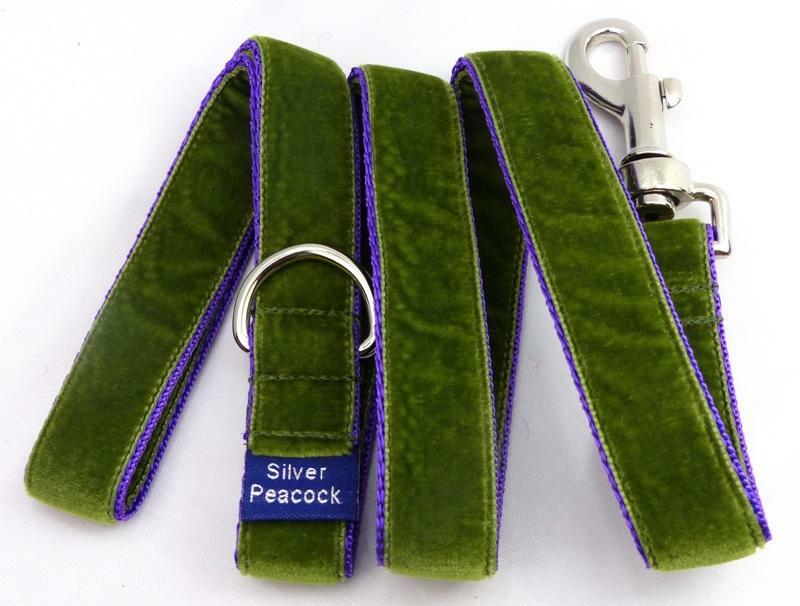 The martingale version has a navy blue webbing section.